Interview with Laxmipathy Balaji: "I’m thankful that I got to play in a team full of legends"
On Friday when Lakshmipathy Balaji announced retirement from first-class cricket, a host of cricketers took to twitter to pay heartfelt tributes to the man who renowned for his sparkling smile and affable disposition. The adoration he evokes and his popularity transcend the number of international matches he played. 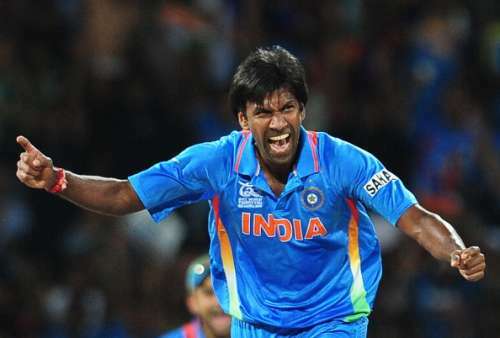 Balaji, who played 8 Tests (27 wickets) and 30 ODIs (34 wickets), was a resourceful bowler whose international career was on the rise till a brutal stress fracture in 2005 halted his rampage. Not the one to throw in the towel, he reemerged strongly and continued to render stellar services to his state Tamil Nadu. He also turned in many fine performances in the IPL. On his childhood fascination with fast bowling: I grew up playing Gully cricket. There were a lot of boys who would run in and bowl as fast as they could. Watching them bowl fast was really fascinating. I think that was my brush with fast bowling and really spurred me to take it up. On his role-model: I became a staunch admirer of Anil Kumble during World Cup 1996. He was one of the highest wicket-takers in that tournament and I took a liking to him. I’m fortunate that later I got to know him so well and play alongside him for India. He is an extremely gritty man with sturdy temperament. His never-say-die spirit continues to inspire me. On being part of a world-class Indian team: It was such an honour to be a part of a team that had legends like Sachin Tendulkar, Rahul Dravid, VVS Laxman, Sourav Ganguly, Virender Sehwag, Anil Kumble, Harbhajan Singh and Zaheer Khan. I reckon that is one of the best Indian teams ever, if not the best. As a unit, we did extremely well and I feel happy that I made small contributions towards some of the victories. On Pakistan tour 2004: To be honest, I did not expect that Indian team would get such a warm and sprightly reception. It turned out to be a memorable tour for so many reasons. It was the first time we beat Pakistan in their backyard both in the ODI as well as Test series. Off the field, people were so nice and friendly towards us wherever we went. Quite honestly, I felt a tad embarrassed to be the cynosure of their eyes. I could comprehend why I am being so loved. They composed songs after me and chanted my name with ebullience. It was simply overwhelming. On smashing a six off Shoaib Akhtar: That was the 5th ODI of the series, the decider. In the final over, I did not have many options but to go for big shots. I connected that shot and it sailed over long-on for a six. It remains one of the most memorable matches of my international career, but not just for that six. I ended up snaring three scalps and Indian won the match to seal the series. On toughest batsmen he bowled to: In international cricket, Adam Gilchrist and Inzamam-ul-Haq were the toughest batsmen I bowled to. Both had the ability to pick the length of the ball early that made bowling to them quite a task. I cherish the fact that I dismissed both of them during my international career. On stress fracture he suffered in 2005: At that time, it was truly disheartening. I was in my pomp and wanted to perform for my country, but fate had other plans. It was a huge setback but I bounced back from the injury and in my comeback first-class season, I snapped up around 50 wickets and also did well in the inaugural season of IPL (2008). I’m really not bitter about the fact that I did not get chances (except an ODI vs Sri Lanka in 2009) to play for India again after the injury. The competition was stiff and many young bowlers (Munaf Patel, Sreesanth, Praveen Kumar etc.) were doing quite well. There have been many cricketers with outstandingly shimmering first-class who did not get to play for India at an international level. So, I count my blessings. I’m thankful that I got to play in a team full of legends. I savour those memories. On his favourite performances: In international cricket, it has to be Rawalpindi Test against Pakistan in 2004. Both teams had won one Test each and it was the decider. The fact that I made a decent contribution by picking up seven wickets in the match and we won it along with series made it a spectacle to remember. In first-class cricket, I remember that I snaffled 10-wicket hail in three consecutive matches during Ranji Trophy 2002-03. It was just after I had made my ODI debut on which I was carted around. I was gung-ho to prove a point and those three 10-wicket hauls on the trot gave me immense self-belief.